Tokyo : For 83 years, the Tsukiji fish market in Tokyo was a head-spinning hive of activity. 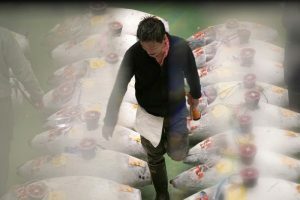 Every day without fail, tuna traders would gather before dawn for the world-famous auction of their ultra-fresh produce, watched by dozens of lucky tourists who had queued from the early hours to win one of 120 coveted places. Nearly 500 different types of seafood were handled at the world’s biggest fish market and 270 varieties of fruit and vegetable, as Tsukiji lived up to its nickname of “Japan’s Kitchen.” All that is now over, as the market moved to a spanking new, sanitised site that is just two kilometres to the east but a world away in terms of atmosphere, according to many traders. 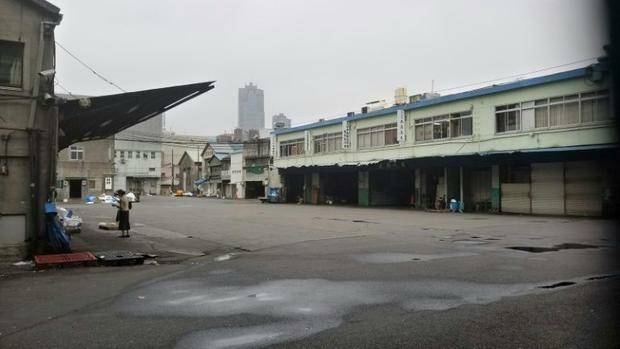 Pictures from inside the old market give a sense of the organised chaos that was the Tsukiji market, as well as the haste with which the move to the new site at Toyosu was conducted — five days. Ancient scales that look like they had been weighing fish for decades lay piled up in a corner along with calculators equipped with decidedly 20th century technology. 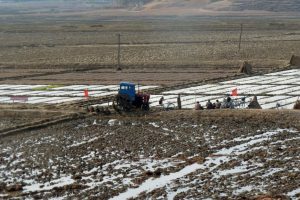 An old wooden pallet transporter also lies abandoned, clearly once the beneficiary of a Heath Robinson repair job with rope lashed around its handle. All around are empty boxes of cardboard, styrofoam or plastic that once held who knows what creature of the briny deep destined for the sushi chopping board. The pictures show a dark and dingy market, with just a few bulbs swinging from the roof, but old-timers say that was part of its charm as they grumble about the light and airy facilities at Toyosu.